In late 1881, the first issue of the Los Angeles Times hit newsstands, President James Garfield died and was replaced by Chester Arthur, the gunfight at the O.K. Corral went down, and Pablo Picasso was born. It was a tumultuous time, but Scientific American barreled on as a home for the science-minded, which in those days meant inventors! Patent-seekers! Tool-makers! Tool-users! The magazine began publication in 1845 (!) and is still around today, making it the longest continually published monthly magazine in the U.S. 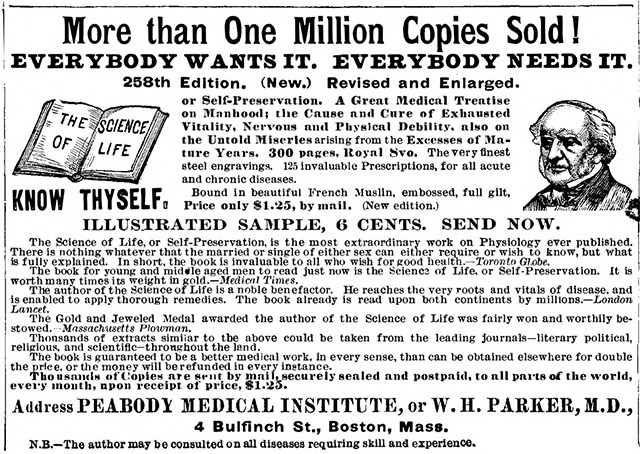 If you turn to the last few pages of the December 3, 1881 edition of Scientific American, you find the best treats: the ads. Here are some of my favorites. Poor Dr. Stinson. I don't think this one worked. "Forces" hair growth, even on the bald. Again... not a winner. 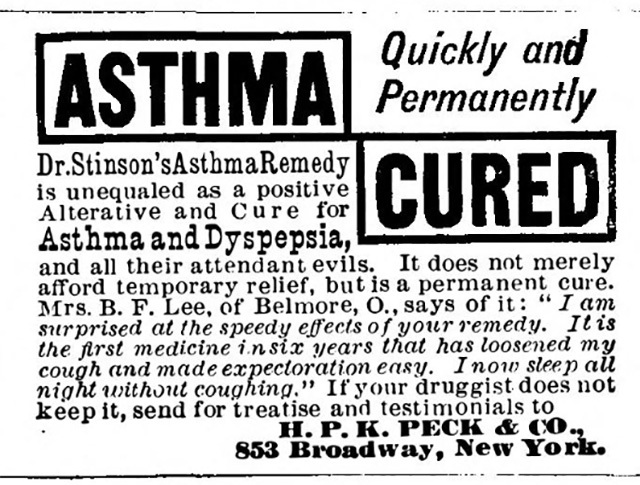 Comes with free "valuable treatise!" And here, like a chump, I'm still paying for my treatises. Oh, come on. At least it's free. Always a solid offer. Would be nice to see a salary listed, but hey. 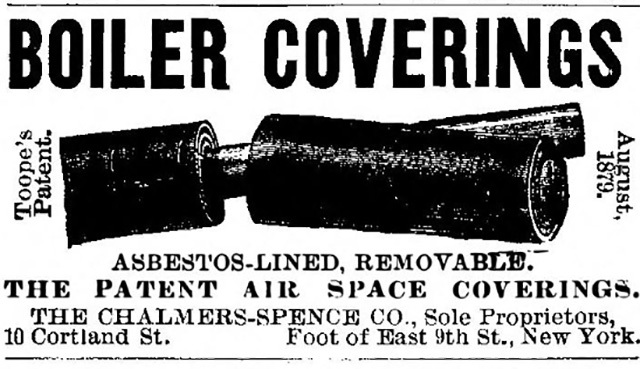 Yay, asbestos! Slap some of these on the boilers you made in #5 and you're all set! "Garmore's Artificial Ear Drums?" I don't think these worked all that well. This is selling a machine to make ice. Ice has a surprisingly cool history. 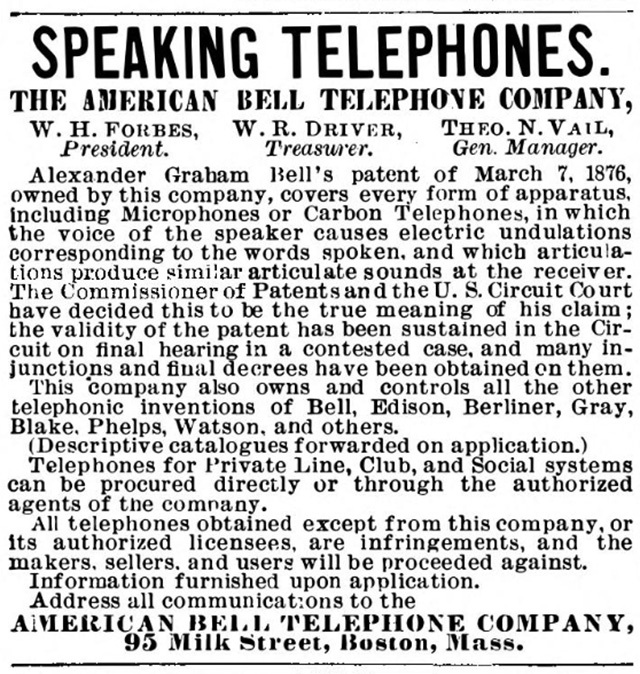 Granted to Joseph Best, you can read the text of this patent online. Appears to be a carbon arc light. 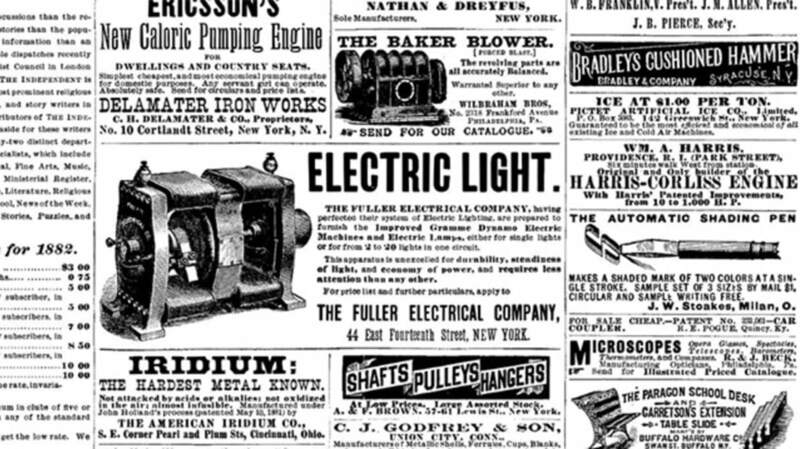 If you don't want to buy a patent, how about a working light? Everybody's inventing stuff, so why not sell your ideas? 12. The Bell "Speaking Telephone"
Okay, this one turned out to be a winner. 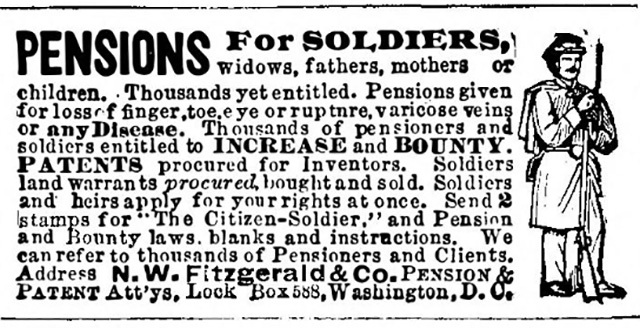 With many veterans still living, and maybe unaware of their rights, this firm promised to tell them how to get some dough out of lost limbs and such. Rather than use the four-syllable "calligraphy," "round writing" sounded much more approachable. Pen included! You can read this book online. Virtually all of it is concerned with issues of spermatorrhea and "the physiology of marriage." Ahem. Know thyself, indeed. "The finest instrument of [its] kind in the world." This was a kind of barrel organ, playing prearranged music on paper tape. Over 300 tunes available! Music only $0.04 per foot! All images courtesy of The Internet Archive, where you can read the entire magazine for free.